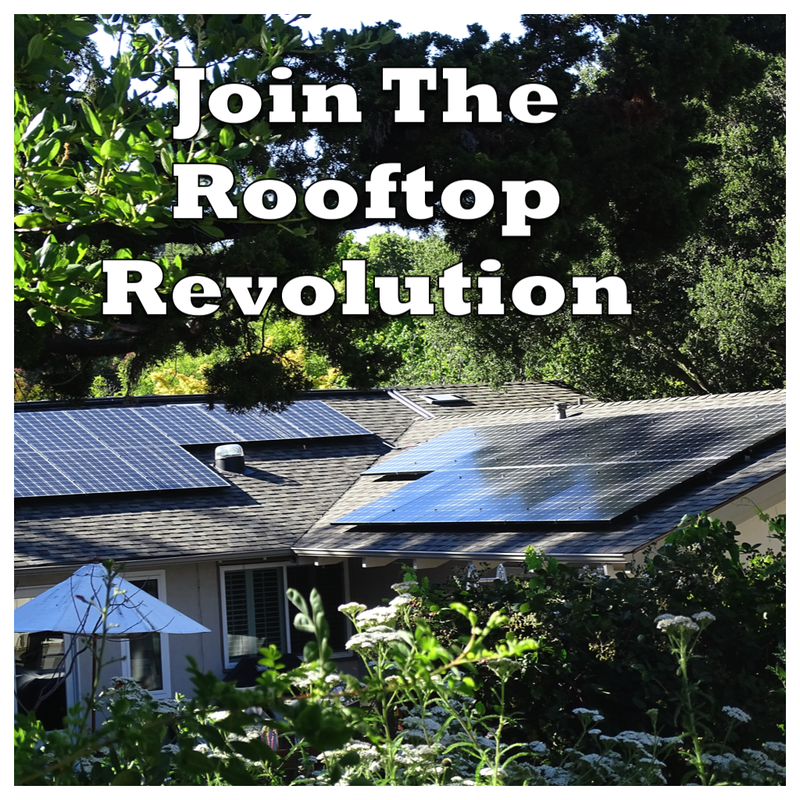 The Green Phone Booth: Becoming Part of the Solution - Rooftop Solar! For years, I have passed homes with the "We're Going Solar" sign out front. I have watched friends and neighbors have panels installed on their roofs. Strolling through town, I have admired sunlight's glint off of residential solar panels. And this spring, we did it! 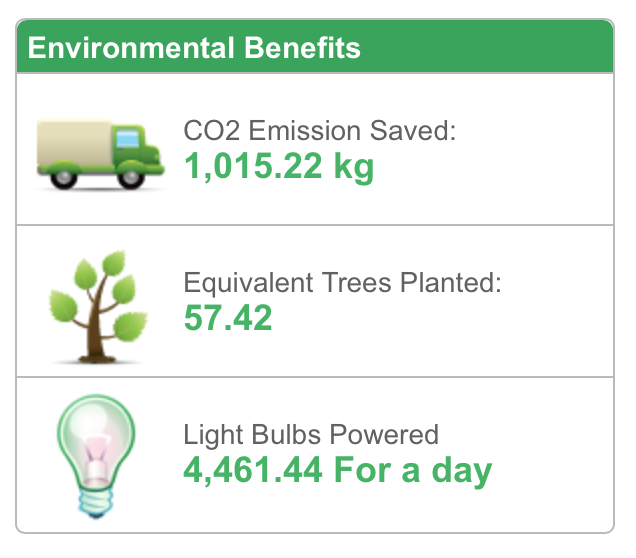 We went solar! 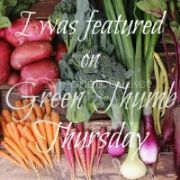 Green Collar Jobs! A team installing our panels. I assumed that solar salesmen would be begging me to throw up panels and that it would happen in a matter of a few weeks. Turns out, though, the solar industry is booming. Indeed, residential solar had its largest quarter ever during the first three months of 2015. We sought and received bids from three different solar companies - two local and one national solar company. After choosing the most comprehensive bid, we signed. And then waited. We are powered by clean, green energy. Here is what we have saved in the last month. 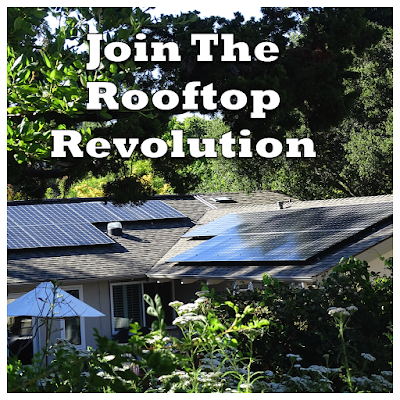 Have you thought about joining the rooftop revolution? Good for you for taking the solar plunge! I want to be part of this solution! Need some cash first! We are buying our first place next week. Solar panels here I come!